No superhero lives a charmed life, no matter how good their abilities or heroic deeds may be. Daredevil seems to have more bumps in the road than most, dealing with bullies as a child, supervillains as an adult, and one doomed love affair after another. Matt Murdock grew up in Hell’s Kitchen with his father - his mother left the family at a young age - and much of his experiences with his prize fighter father informed the way he approached being a vigilante as an adult. Of course, the accident that caused his blindness and radar sense had a larger impact, which is why you won’t see that accident on the list. Even though it took his sight from him, it was something of a blessing in disguise, giving him a whole new way to view the world, and giving him one of his most valued abilities as a superhero. Instead, you’ll find some of the worst outcomes of fights in his superhero career, the exposure of his identity, and some of the worst of his storylines below. Check out just what we think are the 17 Worst Things To Happen To Daredevil, just in time for his Netflix team up series with the rest of The Defenders. Single parent households are fairly common, even in the comic book world, but Daredevil’s upbringing was especially tricky, since his father wasn’t exactly the best dad in the neighborhood. Jack Murdock was a prize fighter who made his money when he brawled in the ring, but also when he strong armed clients for bookies. He was a violent and volatile man, and Matt’s mother leaving him actually exacerbated his existing depression and led him to taking on jobs for the Fixer. 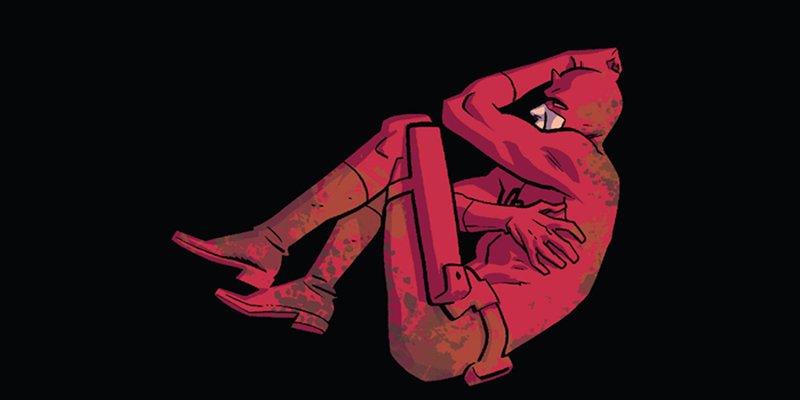 With Battlin’ Jack not dealing with his emotions very well, Matt Murdock grew up very fast, taking care of his father more often than Jack took care of him, and watching his father slowly become an alcoholic. The Murdock men had a complicated relationship, right up until Jack’s death. Despite growing up around a boxer, Matt didn’t initially defend himself against other boys in the neighborhood. It was also through those boys that he learned of his father’s law-breaking work. In fact, one of the boys he knew beat him up for the actions of his father. Jack had acted as the enforcer for the Fixer, intimidating the boy’s father and embarrassing him in front of his family. In retaliation, the boy cornered Matt and beat him up, revealing Jack’s criminal activity. Matt didn’t fight back, but told his father about the incident, and Jack made him promise not to fight, that he wanted a better life for Matt. When Matt eventually went out and beat up the same boy, Jack hit his son to teach him that no matter how good of a fighter you are, there’s always someone better than you, causing Matt to back down in the future. Teaching his son valuable lessons through child abuse -- classic dad of the year behavior. Sometimes, Matt’s worst moments weren’t caused by the villains in his stories, but by the writers themselves. In one story, Matt had to pretend to be his own twin brother. 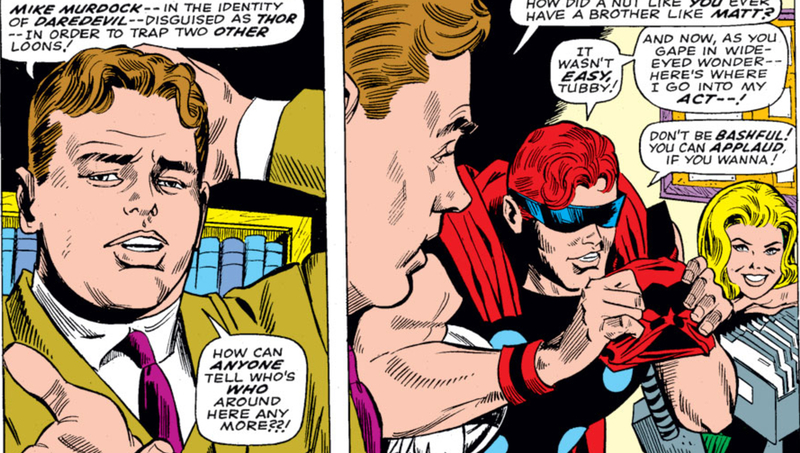 Matt Murdock, who didn’t actually have a brother, was under suspicion of being Daredevil, and the most clever thing the writers and editors could come up with was for Matt to pretend to be Mike, his twin, who was not only the fall guy for the superhero, but could also see! This meant that Matt spent a lot of time using his radar sense to trick people into believing he could actually see the world around him, acting like a slacker, and annoying Karen Page with one alter ego while she fell for another one. It was one of the most ridiculous misdirections the character used. To be fair, Matt Murdock didn’t mean to create a nemesis. As is the case with many heroes whose actions result in landing themselves an enemy, one mistake led to a villain blaming him for their misfortune. Daredevil followed and attacked a villain who was inside a brothel, and much to his surprise, the women working in the establishment defended the baddie instead of getting out of our hero's way. As the vigilante tried to prevent himself from getting hurt, he lashed out, and Mary Walker was thrown through a window. The experience “killed” the old Mary Walker and awoke her mutant abilities. 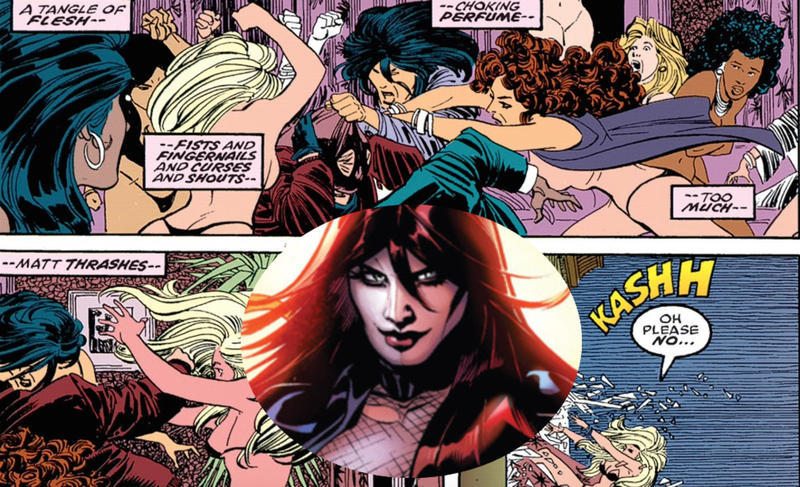 Mary had dissociative identity disorder, though, so the two personalities who were able to access her powers (pyrokinesis, telekinesis, and some limited telepathic skills) were Typhoid Mary and Bloody Mary, both of whom became villains and enemies of Daredevil, the former even working with Kingpin. 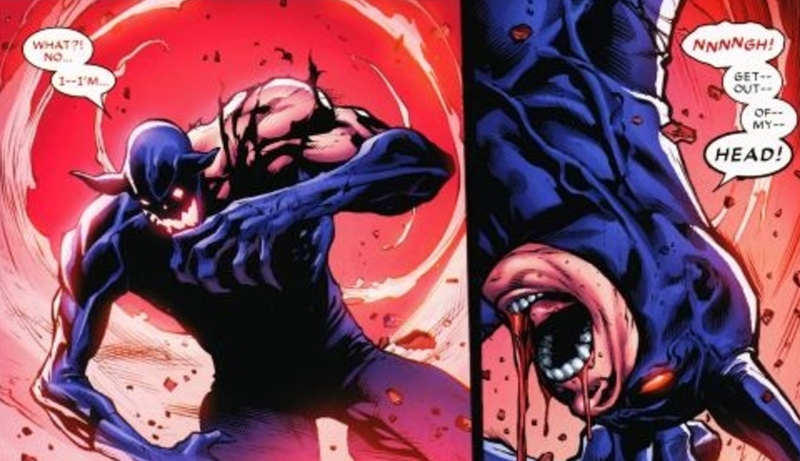 Despite Daredevil being an accomplished fighter, antagonists occasionally get the better of him, often in ways that make the public wonder if he can really do the job. In his early days as the vigilante, Matt escorted Karen Page to a costume party and recognized the heartbeat of the Matador, a criminal bullfighter (yes, you read that right) who had been robbing banks. He attempted to take him on as Daredevil, but the activity at the party overwhelmed his senses and he was soundly trounced by the villain, causing a downturn in public opinion for a while. While Nighthawk is a hero in his own right, he didn’t do Daredevil any favors either. 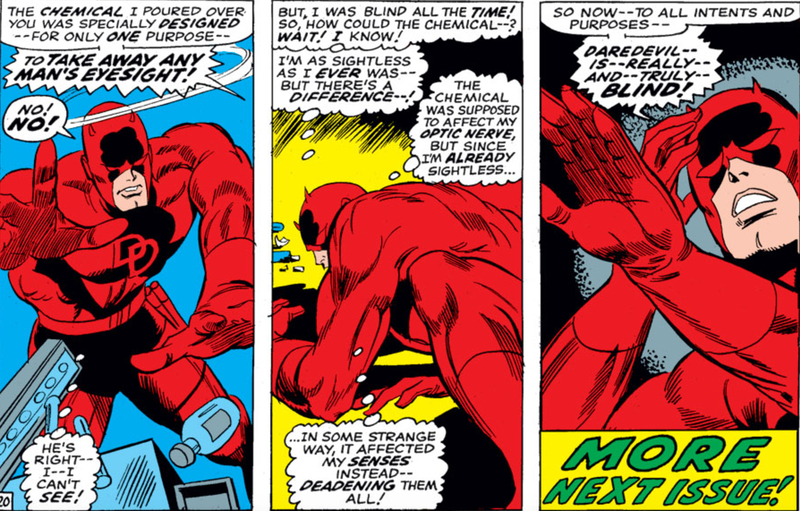 When wanting to make a name for himself, he purposely lured Daredevil into an ambush, then drugged him, so that he could take the credit for winning the day, making the Man Without Fear into a laughing stock. It was a rough few days as Nighthawk built up a following and Daredevil struggled to get his credibility back. Murdock's senses get overwhelmed every now and then, but sometimes, he outright loses access to his most powerful abilities. Matt’s radar sense is not something he developed as a result of his blindness, but rather an enhancement he experienced as part of his body’s interaction with the toxic chemicals in the accident that also caused his blindness. As a result, this special ability has become one of his biggest assets, and he has trouble holding his own in a fight without it. While stuck in the Savage Lands and meeting Ka-Zar, a blow in the middle of a fight caused him to somehow lose his ability. As a result, he was taken prisoner by enemies multiple times, and even ended up in England, a captive in a castle! He experienced a similar calamity when Mr. Hyde created a chemical that would strip him of the abilities, and Foggy had to help him out in the fight that followed. Jonathan Powers is an actor by day and the villainous Jester by night. Wanting to make sure Daredevil stopped getting the better of him, he concocted a plan. Powers announced that he would expose the identity of the Man Without Fear in the middle of the George Washington Bridge, knowing that it would lure the hero to meet up with him. When Daredevil made his appearance known, Powers faked his own death, and made sure our hero got the blame for it. 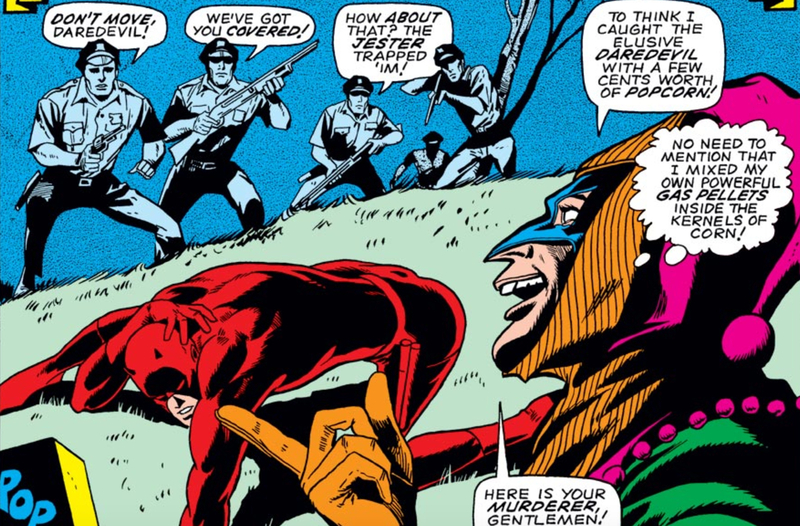 Of course, The Jester decided to bring Daredevil to justice for the “death” of the beloved actor, and that meant the hero was on the run for much of the ensuing story arc. He was eventually captured by police, but escaped, and ultimately deduced just what had happened. 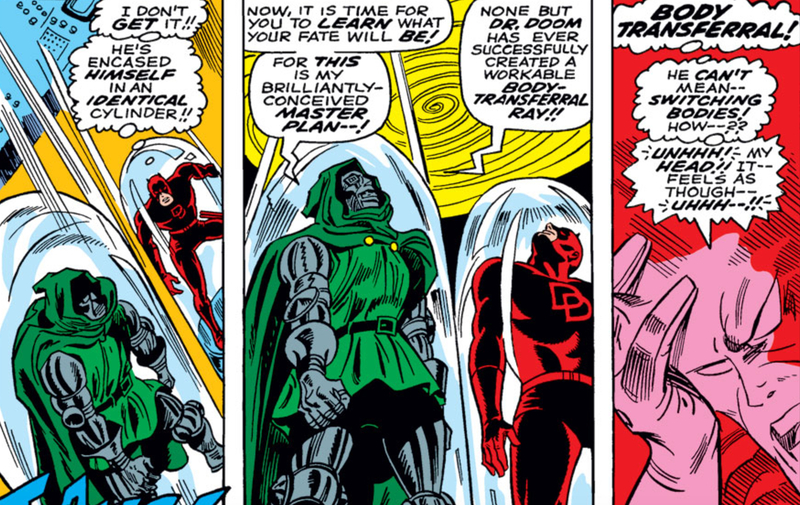 In one of the hero’s earliest comic book stories, Daredevil had his own encounter with Doctor Doom, whom you're probably most familiar with as an antagonist of the Fantastic Four. 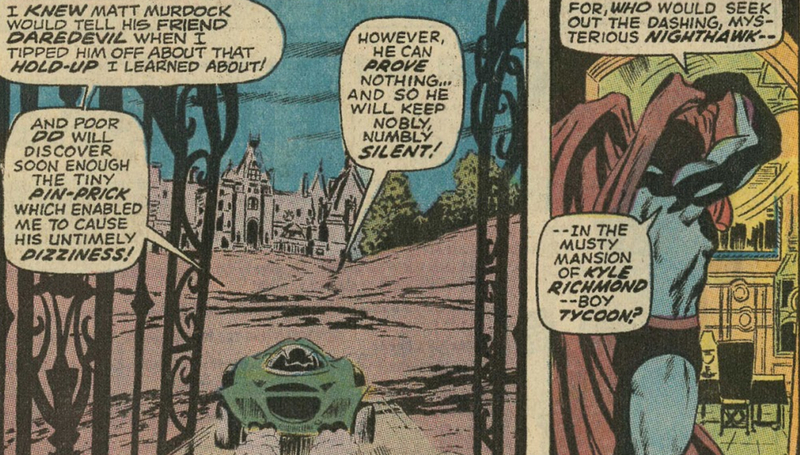 In this particular case, Daredevil had just finished helping the Fantastic Four battle another villain, when Doctor Doom found him and kidnapped him, taking him back to the Latverian embassy, which was supposedly inescapable. After Daredevil passed a series of “tests” designed to mess with his head and determine if he was a worthy vessel, Doom switched their minds. What followed was Daredevil, in Doom’s body, trying to contact the Fantastic Four, being rejected by the heroes, and then sending Doom’s goons to beat up his own body, hoping to slow him down enough to get to him. Matt Murdock was probably in plenty of pain after the two finally switched back! Because he’s a high profile hero in New York, several villains have attempted to launch a smear campaign against him, and many have even impersonated the red-suited vigilante! 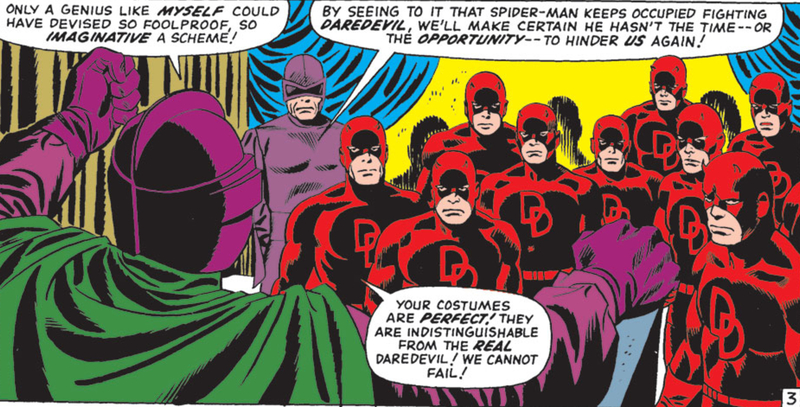 The Masked Marauder, who set out to steal a special engine, actually had his own henchmen dress up as Daredevil to confuse people, and it definitely worked, as Spider-Man came looking for the hero. The web-slinger followed his Spidey-sense to the law offices of Nelson and Murdock, where he actually thought Foggy was the Man Without Fear, not Matt. While that situation resolved itself - as Daredevil and Spider-Man ended up working together to stop the villain - it wouldn’t be the only time Foggy was mistaken for the hero either. Such mix-ups would frequently put Matt’s best friend, and by extension their assistant Karen Page, into severe danger. There were a few times that Daredevil was revealed to be Matt Murdock to friends, other heroes, and even villains, but his exposure to the world is a common theme in his comics - a lawyer revealed as a vigilante/habitual lawbreaker is a lawyer who gets disbarred, for obvious reasons. Unlike Tony Stark, who has never been shy about letting people know he’s the one in the Iron Man suit, Matt Murdock has always worked to keep his vigilante career completely separate from his everyday life. Ben Urich, the reporter who figured out the truth, promised to keep the story to himself. But an intern broke into Urich’s files and sold the story to a rival paper, the first of many times Daredevil’s identity would be exposed, putting everyone Matt knew at risk as a result. After years of Matt and Foggy both showing an interest in Karen Page, and Matt having faked his death, Matt and Karen finally began a relationship when she discovered he was alive. He wanted to marry her, but she gave him an ultimatum: if he wanted to be together, he had to give up being the Devil of Hell's Kitchen. Initially, Matt agreed to Karen’s terms. After all, if he wasn’t Daredevil, his life wouldn’t constantly be in danger from various villains every day of the week, and no one would use her as leverage to get to him. For Matt, it seemed like an easy decision - until a criminal called Crime-Wave began targeting him and wreaking havoc on the city. Daredevil was supposed to announce his retirement to the city at large, but instead, Matt went out to try and stop the bad guy. Karen, realizing that Matt wouldn’t be able to give up his mask, left him, leading to a tragic path for her, and heartbreak for Matt. 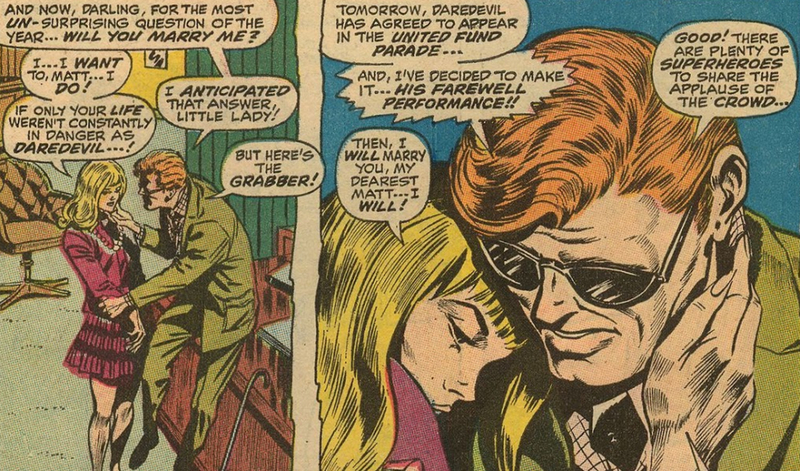 Matt Murdock might just be one of the unluckiest heroes in love in any comic book series. His relationships have nearly all been destroyed by tragedy. Two of the most important romances in his life both ended, at least once, in death. Elektra, Matt’s college sweetheart, was a vigilante in her own right, though she's also worked as an assassin who worked for the highest bidder. She was killed with her own sais in a confrontation with Bullseye, and lived just long enough for Matt to watch her die - a moment that has been recreated in live-action more than once. Karen Page, who had an on-again-off-again relationship with Matt, since neither of them wanted to put the other in danger, also died thanks to the devious actions of Bullseye. During a fight, the eagle-eyed mass murderer threw one of Daredevil's billy clubs at the hero, but Karen stood in its path and was killed by the blow, leaving Matt Murdock heartbroken yet again. Matt Murdock was chosen as the vessel for a demon entity known as The Beast by the nefarious ninja group The Hand. Some of his allies knew The Hand wanted Matt to house the villain, and his former sensei Stick even asked Elektra to help him make sure it didn’t happen, but she refused. As a result, Matt’s soul was essentially up for grabs, and The Hand moved in. While possessed by The Beast, Daredevil became the big bad the heroes worried about, and many of his former friends were forced to fight him and his army of Hand ninjas. Under the control of The Beast, Matt became increasingly violent and unpredictable. He not only killed his longtime enemy Bullseye, but his behavior was so threatening that Kingpin even teamed up with some heroes to help save the city! Daredevil has faced many foes over his decades in comics, but the Kingpin might be one of the most ruthless. Why? Because in a few different story arcs, he learns of Daredevil’s real identity as Matt Murdock long before the public and uses that information to mess with his life outside of the costume. During Karen Page’s time as a drug addict, she actually sold the identity of Daredevil in exchange for heroin. This information eventually got back to the Kingpin, who set out to use it to his advantage. Likewise, Elektra worked as an assassin for Kingpin for a spell, and even she built a dossier on Matt Murdock for Wilson Fisk. The Kingpin, as a result, continually targeted the people he knew Matt was close to. Later on, in order to save himself from a lengthy prison sentence, he set out to release all the information he had to the federal government (during “The Murdock Papers” arc) to allow them to prosecute Daredevil for his crimes as well. 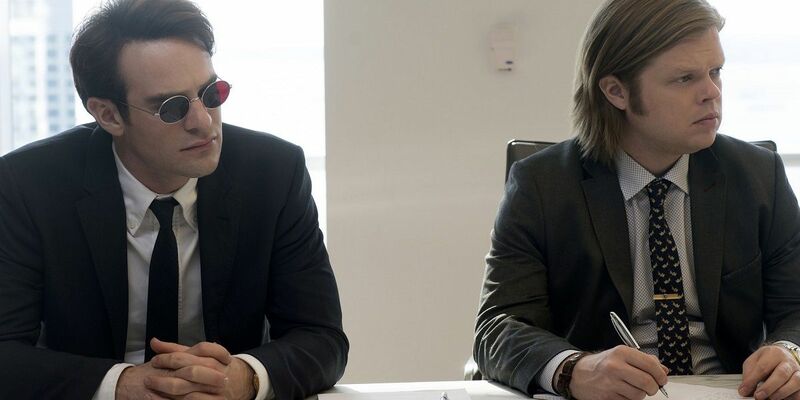 Throughout the comics, and most recently in the Netflix series as well, Matt Murdock and Foggy Nelson have a nearly unbreakable bond of friendship. There is one thing that always seems to come between the two, though: Daredevil. Matt and Daredevil might be the same person, but with two distinct pieces of his life being kept so separate, Matt often does things that puts his friendships in precarious positions (ie lying, disappearing, or faking his own death). These things are often done to protect his friends, but at some point, Foggy and Matt always reach a breaking point. 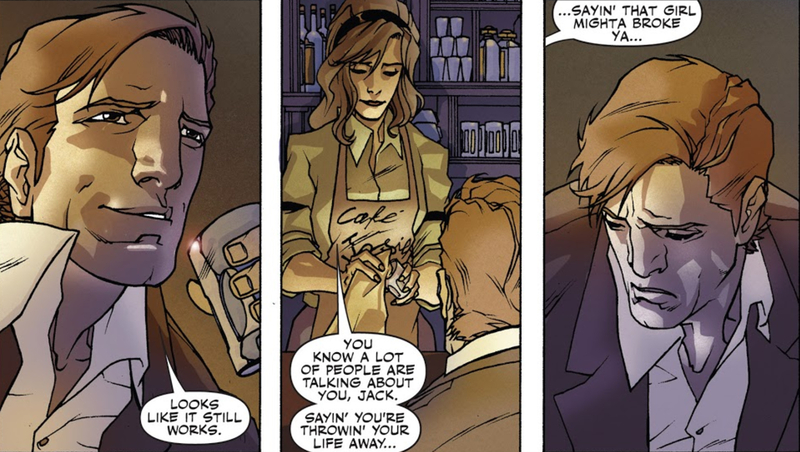 Foggy is actually the biggest member of Matt’s support system who isn’t a costumed vigilante or a love interest, so any time the two are on the outs, Matt tends to go down a dark path. With their relationship currently fractured after season two of Daredevil, we could see the same thing when they reunite on the screen in The Defenders. 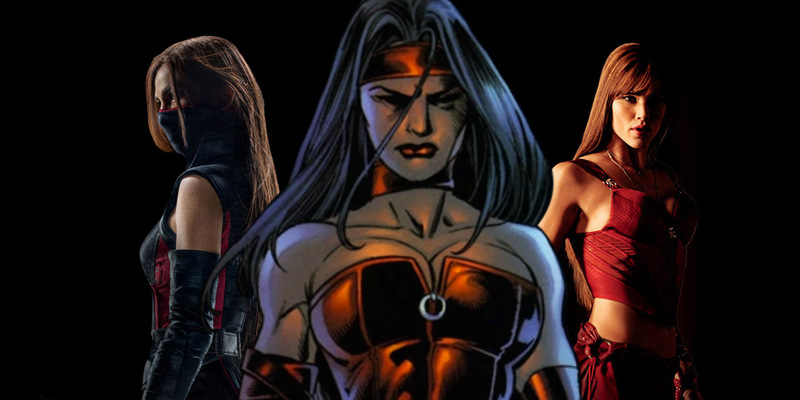 Elektra is certainly a fascinating character, but there’s a darkness inside of her that gets her into trouble more often than not. Many of the horrible things that have happened to Matt Murdock can really be traced back to first meeting his doomed lover. Their first official meeting in college in the comics involved her spying on him in the middle of the night and him chasing her across rooftops - only for her to leave him behind later and allow the police to think he had been harassing her. And that’s about as mild as her transgressions get. In the recent Netflix series, Elektra even tried to get Matt to murder the man responsible for his father’s death. She’s a character who constantly pulls at the darkness inside of him, wanting him to cross the line. 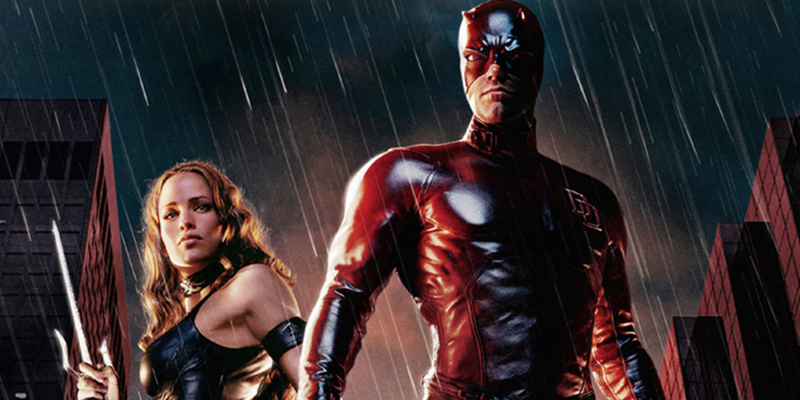 When the Daredevil movie rights were held by FOX, the studio decided to make a movie starring Ben Affleck as the title character. The movie received mixed reviews by critics, and while it certainly isn’t the worst superhero movie out there, it isn’t looked upon fondly by many fans. The movie provided the loosest interpretation of a few comic book events to give audiences an introduction to the character, but for many, it was just too shallow. Karen Page, a major player in the Daredevil comics, was barely visible as Matt’s secretary in the film (bet you forgot that she was played by future Grey’s Anatomy star Ellen Pompeo!). The spinoff film for Elektra starring Jennifer Garner didn’t leave fans with much confidence either. However, when the screen rights were returned to Marvel, the studio had a solution to one of the mistakes made with the character: instead of trying to fit Matt’s story into a single film, they expanded it into a Netflix series and united him with other Marvel characters in The Defenders. You can see if Matt Murdock’s life sees anymore horrible milestones in The Defenders on Netflix and in The Defenders on the Marvel comic book page. All eight episodes of the live action series are now available to stream, while the newest comic book series is only four issues into its run.